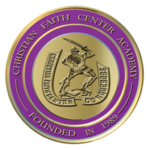 The board, administration, faculty, and staff of Christian Faith Center Academy believe that education is an indelible asset that must be merged into a life shaped by a personal relationship with God and should furthermore be dispensed with an uncompromising acknowledgement of God’s Word as foundational truth. Our philosophical approach purposes to integrate training, mentorship, diverse talents, and awareness in preparation for student success. These elements combined will serve as a catalyst to ultimately launch individuals of influence into numerous territories. CFCA provides an instructional program that meets the academic needs of each child and builds from a strong emphasis on the basic fundamentals of education. In addition to our curriculum, CFCA’s goal is to train children to communicate effectively in various private and group settings. We encourage them to articulately convey their thoughts and ideas. In concurrence, CFCA is determined to prepare students for exceptional positions of leadership in their schools, homes, churches, and communities, and to afford them the opportunity to be exposed to a variety of career choices. It is also our objective to provide mentorship that will help develop a sense of responsibility within each child so that they are accountable Christians and citizens. CFCA is not a mere learning institution, but a ministry in itself in that we plant the seed of the Word of God into every student which will henceforth facilitate the growth of fruitful lives that exemplify an ambition to be and do what God has definitely called them to. CFCA also recognizes the importance for students to discover their God-given gifts and talents; therefore we focus on the character development of each student so that they are able to effectively use their unique gifts to make future deposits that are positive and beneficial in the world around them. We furthermore presume the role of bringing students to an awareness of prevalent economical and political conditions that affect them locally, nationally, and globally so that they can rightly align current circumstances and events with the Word of God in preparation to undertake future positions of leadership.